One thing you’ll notice about the online casino industry is just how fast-paced it can be. Changes and improvements are made on a daily basis and these advancements mean that standing still is not good if you want your product to remain relevant. With changes constantly being made, joining and playing at an online casino has never been more popular. Leading operators are always seeking improvements in their product, such as increasing the number of casino games or changing the interface to remain a step ahead of rival casinos. Casinos can’t afford to sit still and wait around as the market has become so saturated there are plenty of others that players can use and enjoy. One of the things that never stands still at a casino online are the bonuses and promotions, with many now offering players welcome bonuses as a way of enticing them to sign up and play the casino games. All casinos offer different welcome offers and bonuses that can be used on a wide variety of games, whether it’s slots or table games like poker, baccarat and roulette, or modern variants like video poker. At Casinobet.com, we’ve looked through and reviewed a number of casino bonuses and welcome offers to help you, the player, make a decision as to which casino to join from the many available online. There are some big jackpots to win at casinos and picking a strong, established, reliable one is always a good place to start. We’ve looked at the welcome bonus provided by BETAT Casino, which offers players a £500 welcome pack and 50 free spins to use on the popular NetEnt slot, Starburst. Explained on the BETAT website, the casino will match your first deposit in full up to £500 and throw in the free spins on top. To qualify for the bonus, players must make a minimum deposit of at least £20. The promotion works as a deposit bonus offer, which means that players will receive the bonus as soon as they’ve made their first deposit on the casino site. The deposit is matched up to £500 and subject to wagering requirements of 30x. Make sure you read the offer though, as the casino does have a list of games that do not fully count towards the wagering requirement of the bonus. 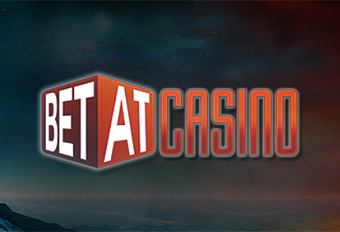 It’s also important to note that BETAT’s casino bonus is not valid for deposits made using NETELLER, Skrill or EcoPays. BETAT’s welcome bonus is an excellent way of introducing new players to the site, but there are also some other cracking promotions that you can take advantage of. It doesn’t matter whether you’re a novice when it comes to the world of casino or whether you’re a seasoned veteran. You can find them all under the Eligible Promotions tab on the site and the ones available to opt-in are listed. The casino regularly updates the page, so there’s no need to worry about being bored or tired with what’s available and they’re tailored for all players. There’s a Kickback Cashback promotion, which rewards table players every Wednesday by offering cashback, while the other is an ongoing weekly promotion which encourages players to try out new games and different gaming providers, as a way of enhancing the player experience. BETAT’s mobile casino is one of the best around and there’s a wealth of slot games available to play whilst on the move, including several from leading providers like Microgaming, NextGen and BetSoft. While the mobile casino game selection is fantastic, the bonuses are even better! The casino bonus when joining is the same as the desktop, but there are a lot more offers targeting mobile players. The casino is easy to use, easy to navigate around and is one of the better ones available in the industry. The welcome bonus at BETAT is great and there is plenty of cash and rewards to win from the casino, but it’s very important to read the terms and conditions. All offers, whether it’s deposit bonuses, free spins or boosted winnings, have conditions specific to them. Wagering requirements are a key part of any welcome bonus. These are requirements that you must meet in order to unlock the winnings from a bonus. BETAT’s requirements are set at 30x, meaning that you have to wager your bonus 30 times before being able to make a withdrawal. It’s always important to read the conditions of the bonus, otherwise you could find yourself fulfilling all the other requirements, but lose out because of one tiny piece of small print.